News flash…there are not enough hours in the day to accomplish all that you want to get done! This leaves you with two alternatives: you can attempt to work non-stop or you can learn the art of delegation. Early in my career, I chose to try to work non-stop. Obviously this approach is not sustainable. No one can work all the time and hold it all together. Eventually something is going to break down: your health, your relationships, your sanity, and even your career. Luckily, I discovered the art of delegation by studying the life of Moses. Shortly after leading the Israelites out of Egypt, Moses finds himself becoming a workaholic. 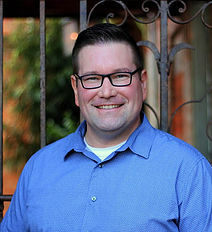 He would work from early in the morning until late at night settling disputes for all the people and teaching them the laws of God (Exodus 18:13-16). The good news for Moses was that his father-in-law, Jethro, was watching this scene transpire and taught him the valuable lesson of delegation (Exodus 18:17-18). Like Moses, we can’t do it all. Sure, we can try…but sooner or later things will begin to fall apart. We will wear ourselves out and the balls we are juggling will start to fall to the ground. That’s why we need to heed these 3 timeless principles from Jethro and learn the art of delegation. A lot of leaders never begin to delegate because they can’t imagine that someone else can do the job as good they can. Sure, they may not do it in the exact same way as you would…but the truth is that they may actually do a better job than you! This is where many of us have to get over ourselves and let other people take on part of the work. You can’t do it alone. You must select qualified people to join you in the mission. Make sure you delegate to people of high character. You can always teach them the skills of the job, but it’s their character that will determine it’s success. This means don’t give people more than they can handle. While character is the first thing you look for in the person you’re delegating to; you also have to match the job with the person’s ability to handle the job. Not everyone on your team can take on the responsibility of leading “thousands”, but they do have the capacity to lead “hundreds or fifties or tens”. On the flip side, as their capacity increases so does their responsibility. Someone who starts out leading “tens” can develop into a person that will eventually lead “fifties, hundreds, or even thousands”. This doesn’t mean that you never challenge people to achieve more. Nor does it mean that you don’t develop them to take on more. It simple means that you monitor what you ask people to do with their ability to get it done. Learning the art of delegation moves beyond just giving people an assignment. Micromanagers give assignments. They give people a task to do but insist on maintaining all control and authority over how the task is done. This impedes decision making and creates a one-man bureaucracy within the organization or department. Delegation requires that you don’t just give away the assignment but that you give away the authority that goes along with it. 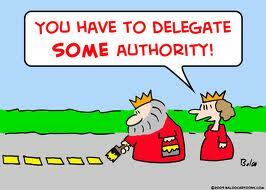 Delegation does not impede decision making but rather it facilitates it. Moses followed his father-in-laws advice and shared the load with the leaders he had chosen. He set clear expectations…they were to judge the people at all times based on their capabilities & they were to bring any unresolved issues to Moses. He also empowered them with the authority to make most of the decisions themselves.